A South Carolina man has taken it upon himself to battle the “creepy clowns” that have been sighted across the country. 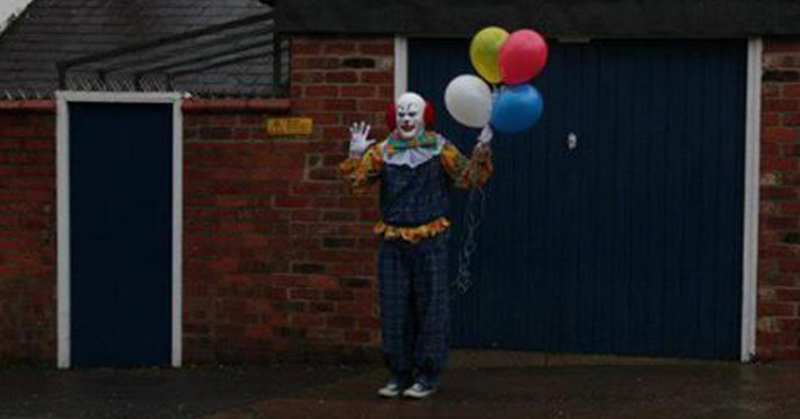 Pinto Colvig, 38, says that he is “sick and tired” of his town being scared to death by people dressed as menacing clowns. Police have cautioned Colvig that he needs to not engage with any of the clowns, and that if his “task force” wants to act as a sort of neighborhood watch, that is fine – but no violence should occur. Deluded DEA junkies have once again expressed unwarranted belief that they can win the “War on Drugs.” Members of the administration, who must be high on something really potent, told reporters that they’ve made a lot of headway in the last few years, and are close to a decisive victory. Michele Leonhart, head of the Drug Enforcement Administration, who recently expressed her insane fear that rabbits might get stoned if the legal marijuana industry grows, says that her team are doing all they can to keep humans and animals away from drugs. Second in command, Rudolph Potgieter, agreed with her sentiments. Drug dealers across the country were unphased by the DEA’s assessment. 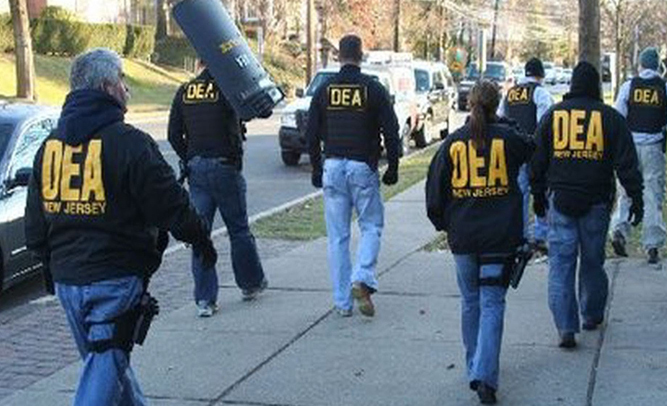 The Obama administration expressed their dismay at the level of delusion the DEA has sunk to. The World Automobile And Motor Corporation is requesting that all users of social media share and relay its message regarding a massive recall on all cars that run on unleaded gasoline. The announcement is the biggest product safety recall in history, as it has issued a statement warning that almost all models of cars are equipped with malfunctioning gas tanks, which could cause dangerous explosions if ignored. WAMC spokesperson Yoshida Kakaruda said in a statement that the issue concerns a weakening rubber valve in the fuel delivery compartment of all gas tanks. “Due to several fiery incidents, we at the World Automobile and Motor Corporation are issuing a recall on all makes and models of vehicles that run on unleaded gasoline,” Kakaruda said. Just last week, a 2004 Toyota Camry owned by Abdul Muhammad, 32, of Waco, Texas exploded in the parking lot of a 7-Eleven, causing the death of Muhammad and a passenger, and causing extensive damage to the convenience store itself. Rahim Duhfur, 45, owner of the impacted 7-Eleven, said in a television interview that he feared for his life when the explosion occurred. “I believe Allah, he come for me, to take me home to, how you say, big palace in the sky. I feel fear of Allah when things go boom,” Duhfur commented. Spokesperson Kakaruda made it a point to ask all users of social media, such as Facebook and Twitter, to assist in relaying the urgent recall notice. “We ask all Americans to spread the word, and to share via social media and also all media outlets. 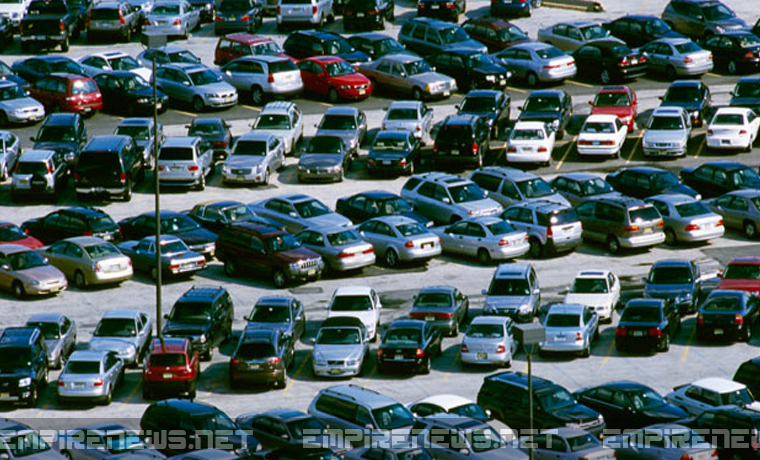 There are millions of vehicles in use in North America alone. We request that all individuals who own a vehicle please call our safety and recall telephone number, (318) 947-9586. 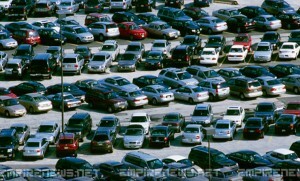 A representative will assist you, and let you know where your automobile can be taken for a free repair” Kakaruda said. The provided number, (318) 947-9586, is the WAMC Safety and Recall Information hotline, and is based in the United States. 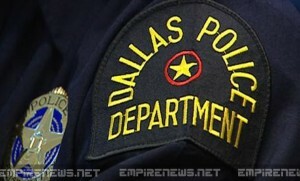 In a bold move, the Dallas Police Department has announced an unprecedented, creative, and groundbreaking strategic plan to curb the reputation of police abuse by taking firearms away from more than ten-thousand police officers. Nationally respected and highly regarded Dallas Chief of Police, David Brown, made the surprising announcement earlier today at a press conference outside the Jack Evans Police Headquarters in downtown Dallas, home of the Dallas Police administration, as well as the Dallas Museum of Historical Artifacts. Brown went on to say that all street patrolling police officers were required to turn in their weapons, and will use alternative methods to subdue criminals when times on the beat get desperate. “Officers will still be well equipped, armed with tasers, pepper spray, batons, blackjacks, brass knuckles, steel-toed boots – the list is quite long. New devices, including laser pointers with which they may temporarily blind violent criminals, will also be added to replace guns. For extreme cases, they will be given access by the Dallas Fire Department to all fire hydrants and hoses in the city, but only for when situations are crucial. They will have more than enough to operate an effective police department while continuing our reputation as the best police department in the world, as well as the most innovative,” Brown said. Police across the country are taking part in a new initiative meant to make our roads safer by cracking down on teens and adults who create abstract expressionist paintings while they drive. 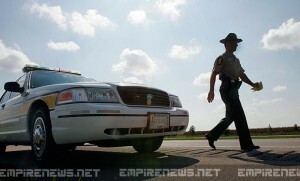 The program involves PSA’s, training for officers on how to spot painters in their cars, as well as special checkpoints along major highways where officers will be able to arrest anyone refusing to follow the rules of traditional composition. Abstract expressionism while driving has been on the rise in recent years, and some say has only gotten worse ever since teen clothier Urban Outfitters began selling “To-go” sized canvasses and mini paint buckets that fit in a car’s cup-holder. A recent survey by ABC News found that over 40% of young adults (ages 16-25) admit to abstract expressionist painting while driving, with 20% saying they create a mind-bending work of pure exploration every single time they get behind the wheel. Philadelphia Police Chief Charles Ramsey was instrumental in creating this new initiative. He says he first became passionate about this issue after a series of accidents in his home city. According to existing distracted-driver laws, though, Louis is a criminal. Any police officer who catches him paining while driving is within their rights to arrest him. In most jurisdictions, abstract expressionist painting while driving carries a penalty of up to $500, and one scathing review of the painting in question by a magazine or newspaper of record. Some outside of law enforcement have alleged that the crackdown on abstract expressionist painting while driving is unfairly targeted at young people. Studies have shown that those above the age of 40 tend to avoid abstract expressionism, but that 43% of them landscape or portrait paint while driving, and 37% of them compose classical epic poetry while behind the wheel.